Portrait of Icelandic landscape painter Georg Gudni who changed the way people looked at landscapes. Gudni's work pretty much entails abstract landscapes where nothing is certain and its as if you're looking through a fog at what might be a landscape. These are lore landscapes of the mind rather than reality. Gudni says in one clip that a landscape we are looking at may or may not be an actual place. A long slow trippy mediation on Gudni and his work much of the film is gorgeous shots of the empty landscapes of Iceland and Gudni's art all set to meditative score that is like listening to a new agey soundscape album. Its the sort of thing that one can zone out to on the big screen and travel across the country without ever leaving your seat. Seeing it in the dark on a big screen is a real treat. Cut into the the visual splendor are a bunch of talking heads who discuss Gudni's work and life in various contexts as well as lots of footage of Gudni painting and explaining his work. Viggo Mortensen who published a volume of Gudni's work is listed prominently in the promotional material but is only in the film fleetingly. This material is less intriguing than the landscapes and the art. There is a sameness after a while and for me I kind of grew tired. A lot of what was said and seen seems simply to be variations on what we've seen and heard before. 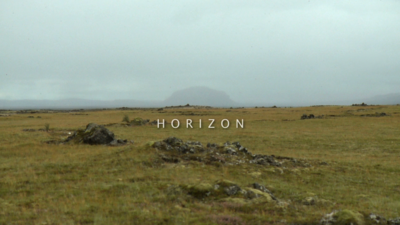 I don't dislike the film I just wish it didn't seem that if you stripped out the shots of the art and the landscape of Iceland this film could almost be about any other artist. Definitely worth trying on a big screen where you can get lost in the visuals, not so sure about anything else. The film a has two more gone of the 15th and one on the 19th. For more information and tickets go here.